Scrum is a simple framework to manage complex challenges. Software delivery is a complex challenge. Software delivery encompasses a multitude of complex activities to create and evolve complex products in complex circumstances. 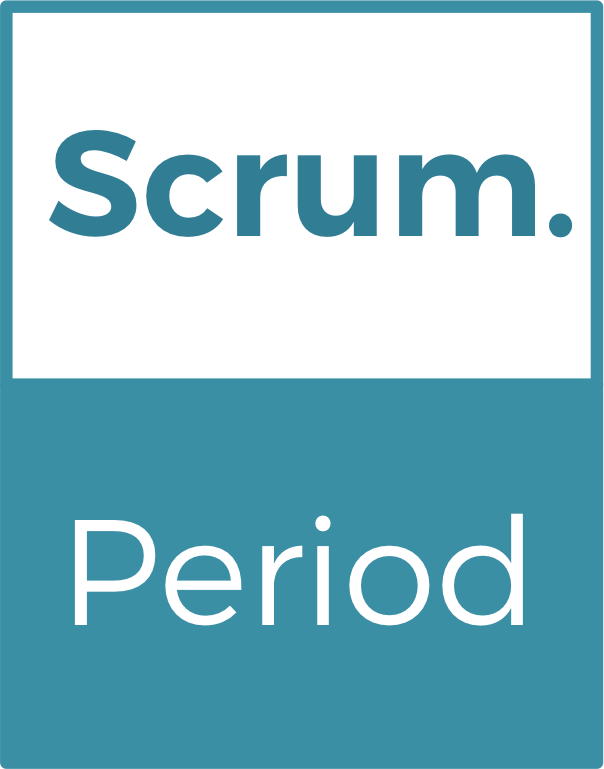 Scrum embraces and emphasizes the complexity of software delivery by implementing the only process type that fits its complexity, empirical process control. There are many variables that have an impact on delivering software; requirements, skills, experience, people, teams, technology, integrations, market conditions, company strategies, budgets, regulations and dependencies, to name just a few. Not all known variables are controlled by the people doing the work, although they have to incorporate the impact on the work. For some known variables too much detail is needed to fully comprehend them. Even if a variable is known, its behavior -now or in the future- may be unknown, or different from what is anticipated. Products are created by people with cognitive capacities. People are not robots, or replaceable pieces of machinery. The outcomes are hard to describe in an exact and detailed way; before, at the beginning or even as the work advances. Every product created is unique and what is appreciated can only be established when released. The activities to be undertaken aren’t predictable with any degree of high precision. They have not been performed before, in the same way, under the same conditions, several times. The environment evolves constantly. And, most annoying, not all variables are known. There is a high degree of unpredictability. An open-loop system is designed for execution of a series of preempted steps to result in a defined outcome in a single run. Such a system assumes a near-perfect predictability of the variables that influence the process as well as of the process activities themselves. For larger problems, typically a chain of open-loop subsystems is created. The output of a subsystem is the input to the next subsystem. Although theoretically risks should be confined to the smaller subsystems, in practice the whole system’s vulnerability increases exponentially. In situations of turbulence and change, deviations and variances accumulate across the various subsystems, e.g. in timing and quality. It is not uncommon for the accumulated problems to surface only at the end of the final subsystem. Predictive plans and hand-overs of work between separate functional groups are implementations of open-loop thinking. Predictive plans can only include known variables, their known details and their anticipated behavior, creating the illusion that no unknowns exist. Open-loop thinking invites lengthy upfront consideration of all elements of the plan, and ultimately attempt to foresee the unforeseeable. An open-loop system is -by design- unable to cope with the amount of disruptions and unknowns typical for complex challenges like software delivery. Closed-loop systems implement frequent opportunities for inspection so adaptations can be implemented. The actual outcome of the system is compared in a timely fashion against a desired outcome. Desires may change. Variances or undesired results are eliminated or corrected in the next or in future runs. Not all variables and parameters need to be known precisely and in detail, as the process is self-correcting. The system requires and creates transparency. Reality is inspected, and exposed, so that appropriate adaptations are undertaken. The people performing the inspections have clear and agreed standards in place to inspect-and-adapt against. Inspection for reporting and status purposes is pointless. Inspection without adaptation is pointless. Scrum embraces and stresses the complexity of software delivery by implementing empirical process control. Scrum replaces the open loops of traditional, phase-gate, staged or similar processes with closed-loop feedback. Scrum defines regular opportunities to inspect and adapt. Scrum enables players to halt the traditional rat race. The players are enabled to stop, reflect, learn from inspections, gather feedback over the output and change course, re-organize, update priorities, improve, adapt. Scrum brings reality back in the game. Scrum brings transparency. That is pleasant when all is progressing well. That is crucial when all is not progressing as hoped for. It allows re-positioning and correction. At the Daily Scrum the people doing the work inspect their progress, and identify their most important work to do next within the container of the Sprint. They use the Sprint Backlog, the Sprint Goal and a progress visualization to self-organize within the Sprint. The daily cadence assures they never get out of sync for more than 24 hours. A Sprint is a cycle that starts with identifying and interiorizing the most important ideas instantiated on Product Backlog. Sprints end with an inspection of the product Increment that was actually released or could be released, as well as how it was built, the process, the interactions, the technology at play. As with all inspections, they are forward-looking. They serve the purpose of adapting. All events of Scrum set a frequency for the inspection and adaptation process, where the artifacts contain the information to be inspected and adapted. Scrum describes the accountabilities needed to perform the inspections and adaptations. Organizing work in Sprints allows people to take a breath, to break with the traditional rat races, and work at a sustainable pace. Explicit reflection moments are introduced that are crucial for humans to thrive in cognitive, creative work of high complexity, like software delivery is. Within a Sprint, additional feedback loops are created, e.g. through agreed work and development standards. 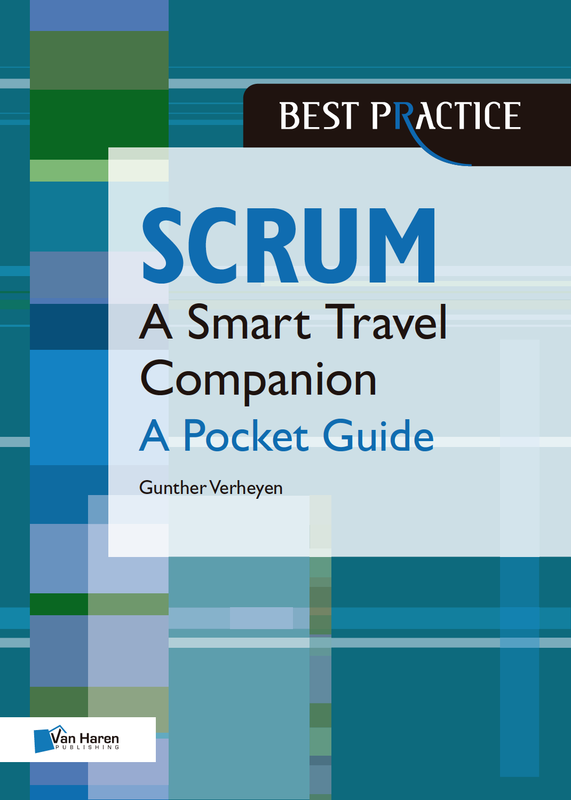 Note: above text is adapted from my book “Scrum – A Pocket Guide (A smart travel companion)”. If you have more time to spend, consider reading it. On January 29 2015, I was given the opportunity to explore the topic of “Empirical Management” at the OOP congress in Munich. You will recognize how the talk covered the smell over many adoption, scaling or transformation efforts, the (needed) focus on value, and empirically managing software upon evidence of value. A huge thanks to Fabian, and the rest of the audience. Traditionally an individual is declared a ‘manager’ when having hierarchical control over other individuals. A traditional manager exerts power. A traditional manager commands people through the assignment of to-be-done work; expressed as tasks or work packages, given on a daily base or via to-be-followed plans. Subsequently a traditional manager follows up on the execution of the assigned work. The traditional manager does not wait for the results of the work but wants to see how the work is being carried out, who is doing it, when the tasks are being performed and how much time it is taking. The time it takes is in general compared to the time that was instructed the task should take. This and other performance information is recorded and stored, mostly in reports and other forms of documents. The traditional manager (in)frequently uses the stored information to evaluate a subordinate in order to steer that person’s career; via carrots like education, promotion, incentives, bonuses, salary. The traditional manager acts as the one who knows it all, and is supposed to act in the best interest of the company and its shareholders, even if that interest is obscured from the people assigned with the actual productive work. Not limited to, but certainly in a context of agile, there is not only no need for a ‘manager’ behaving according to this authoritarian pattern and traditional expectation, it is even highly counterproductive and extremely discouraging. It undermines enthusiasm, disregards intrinsic motivation by focusing solely on extrinsic motivators, kills job satisfaction, is an open door for politics and bribery and is therefore catastrophic for an organization depending on people. It is without doubt disrespectful and inhumane. Is the notion of ‘manager’ therefore forever corrupted? Evil by default? A lost case? Scrum, like all things agile, has a very different viewpoint on working with people and on the aspect of management, but it does not the disregard that the activity of managing is required. Let’s explore this different perspective upon the statement that “Scrum Master is a ‘management’ position”. A Scrum Master is a manager. Contrary to the traditional idea of a ‘manager’, a Scrum Master has no formal power over the people in the Development Team, not deciding over their careers, incentives, etc. A Scrum Master does not manage the people or their tasks. But a Scrum Master does manage (via) the Scrum process. Within an organization a Scrum Master is accountable for the maximization of Scrum, for ensuring that people, teams, departments and the organization realize the highest benefits possible from using Scrum. 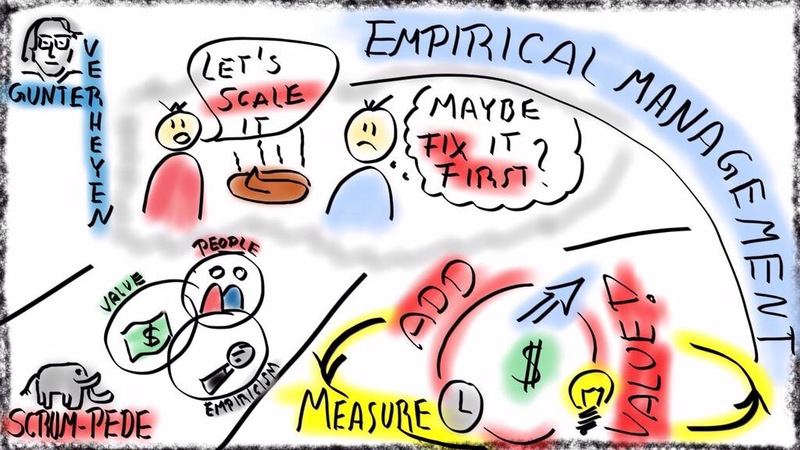 A Scrum Master is accountable for the way Scrum is understood and enacted. This requires management skills, traits and insights. A manager is a Scrum Master is a manager. A Scrum Master is explicitly responsible for removing Impediments. Impediments are elements that limit the efficiency and progress of a Development Team in areas that are beyond the reach of self-organization of a Development Team. Impediments are most often found in the wider organization, in company processes, procedures, and structures. Removal of Impediments works better if the Scrum Master is a manager turned Scrum Master, thereby adopting facilitation as the primary management tool and seeing the workfloor as the primary habitat. A Scrum Master indeed is a manager, albeit not in the traditional sense. It is clear that a Scrum Master does not manage budget, people, work and tasks. Product Owners manage investments. Teams manage themselves. However, self-organization as promoted through Scrum does require goals and boundaries. A Scrum Master manages the boundaries that Scrum provides to augment self-organization; time-boxing to limit risk, focused efforts, cross-functional collaboration, releasable results, validated learning. The Scrum process does no more than framing the creativity of people in their joint creation of valuable software. 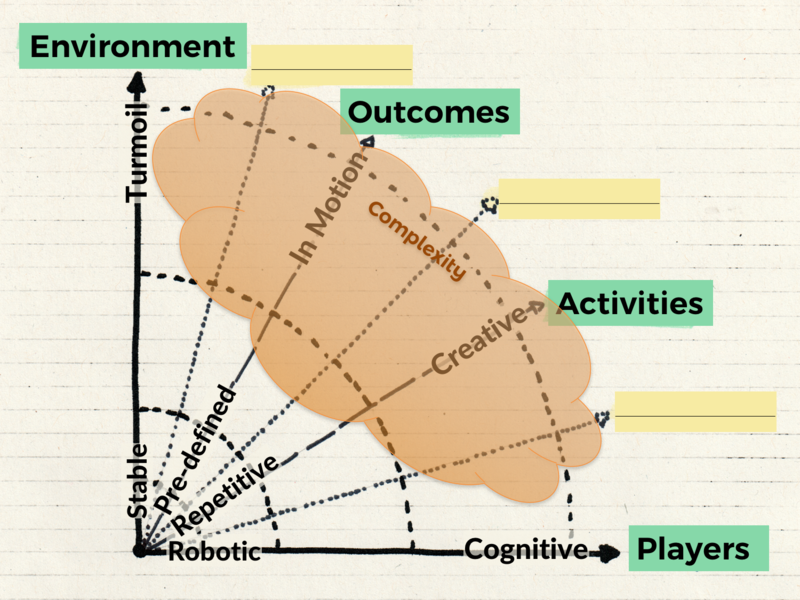 The process of Scrum lays out a foundation for rhythm and discovery. A Scrum Master manages the Scrum process through the provision of specific services like removing Impediments, facilitating teams, educating the organization, coaching people and keeping the road open to perform, to work, to innovate, to be creative. The services that the Scrum Master provides, needs to provide or is allowed to provide become a mirror to the state of Scrum in an organization. Scrum Master can be seen as a management position because the Scrum Master role holds what is expected from a manager in an agile context, not because it reflects what traditionally is expected from a manager. A managing Scrum Master is a wise leader that engages people through organizational purpose and vision. A manager who acts like a Scrum Master optimizes the value of management to the organization. The optimization lies not in commanding and controlling tasks and detailed work items. The value a manager brings lies in identifying wasteful activities, eliminating waste, removing impediments, embracing complexity by assuring Scrum is understood and enacted, from its principles and roots in empiricism, building on the core Scrum Stance, propelling on opportunistic experimentation, setting goals, and maintaining purpose. The Scrum Master-manager is strongly affiliated to the Lean idea of “Go See“. A manager turning Scrum Master is a person that does not hide in a far-away office. Not hiding is much more than merely creating an open door policy. An open door is a fake measure, as it still lays the burden with the people wanting to see and talk to the manager. The workfloor buzz does not enter through that door. The flow needs to be reversed. The Scrum Master-manager walks around, is part of the workplace with the teams, the place where the real value is created. In Lean this place is referred to as Gemba. It can even be taken some steps further with the idea of Empirical Management. Even in an agile context, the act of managing remains a valuable activity. The act of managing is performed by managers. Teams manage themselves. They organize their work autonomously. They are managers too. Product Owners manage the product’s vision and the investments in the product. Others manage boundaries, company objectives and identity, technical environments, the Scrum framework. ‘Management’ is the collection of all such activities. Management done properly thrives on servant-leadership. ‘Management’ is not a collection of people executing hierarchical powers. It is an emergent, networked structure of co-managers, people with complementary skills, focus and accountability, mutually exchanged services. All seek direction. Collaboratively. Continually. Skills and meaningful conversation prevail over title, hierarchy and position. Is a manager who turned Scrum Master still a manager then?